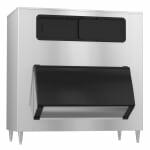 Using Hoshizaki's B-1500SS 60-inch wide ice bin will help you keep plenty of ice on hand for your guests and customers. 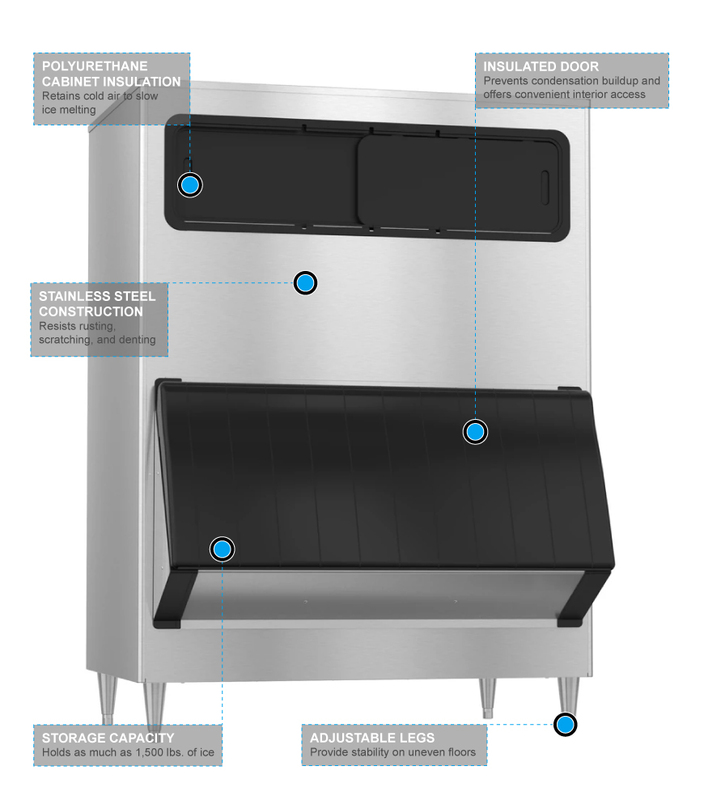 This stainless steel unit stores up to 1,500 pounds of ice and has a seamless polyethylene bin liner and polyurethane insulation all around, giving the best in ice preservation. 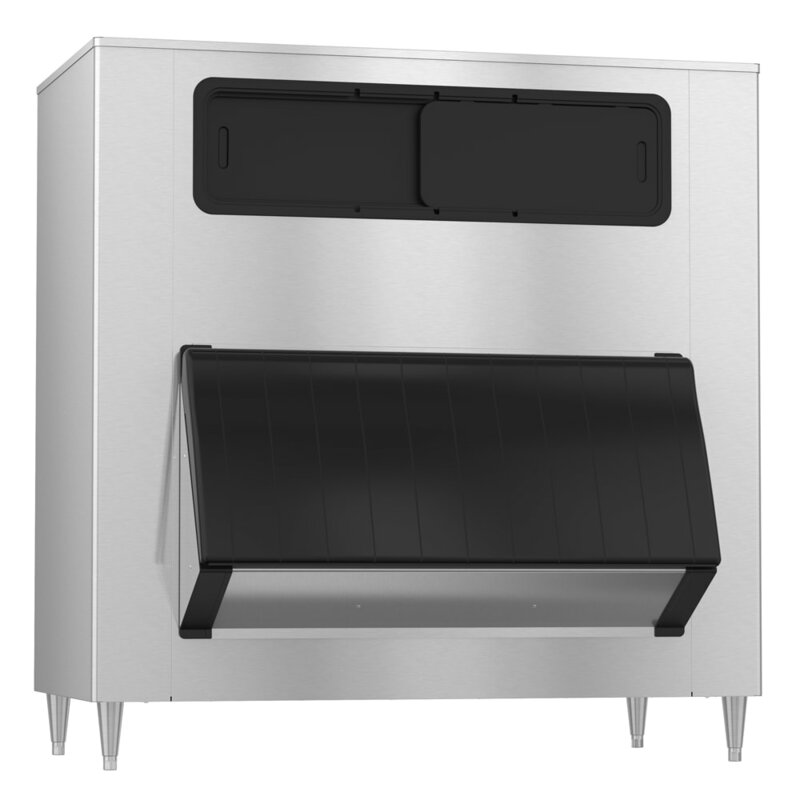 A pouch-style insulated door keeps condensation from occurring. A sealed door gasket helps keep out airborne bacteria.